Rhapsody has generous modern comfort and contemporary styling. 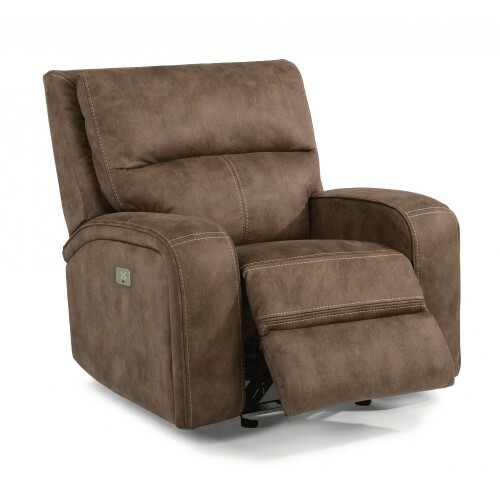 It features a curved arm with a tailored pad overlay and back wings that wrap up and frame the back cushion. Its back cushion is highlighted with dramatic puckered stitching that draws your attention to Rhapsody’s beautifully tailored design. A power reclining mechanism lets you change angles effortlessly with the touch of a button, and a power button control allows you to independently adjust the headrest for custom relaxation.